1. 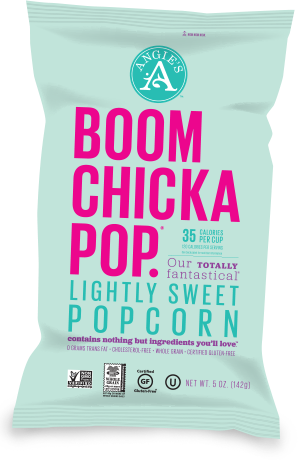 Popcorn is one of my favorite snacks and this Boomchickapop is the perfect salty/sweet combo! It’s also Non-GMO, Vegan, and Gluten-free. 2. 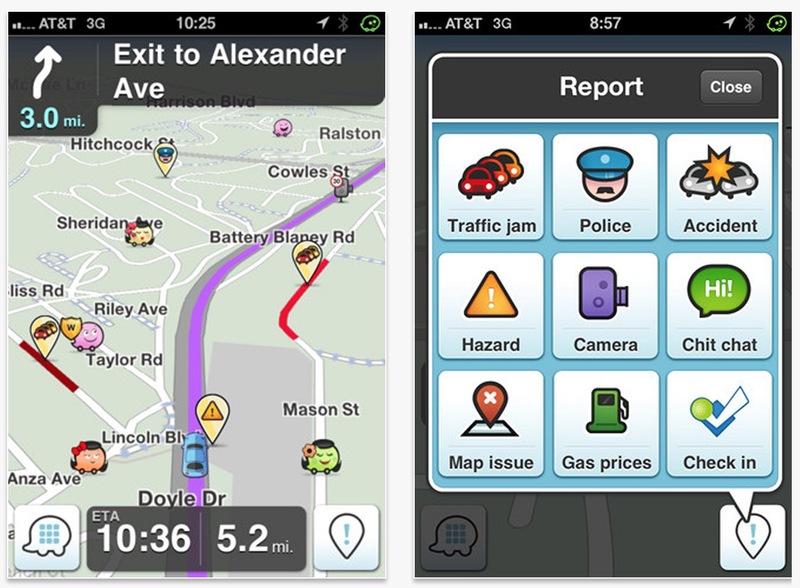 Waze Traffic App– When we were in LA, the local news and the Uber drivers all used Waze to report and maneuver through traffic. It’s a community based app that lets users report traffic, construction, police, etc…I’ve been using it in Nashville ever since. 3. I’ve never been great about drinking enough water. 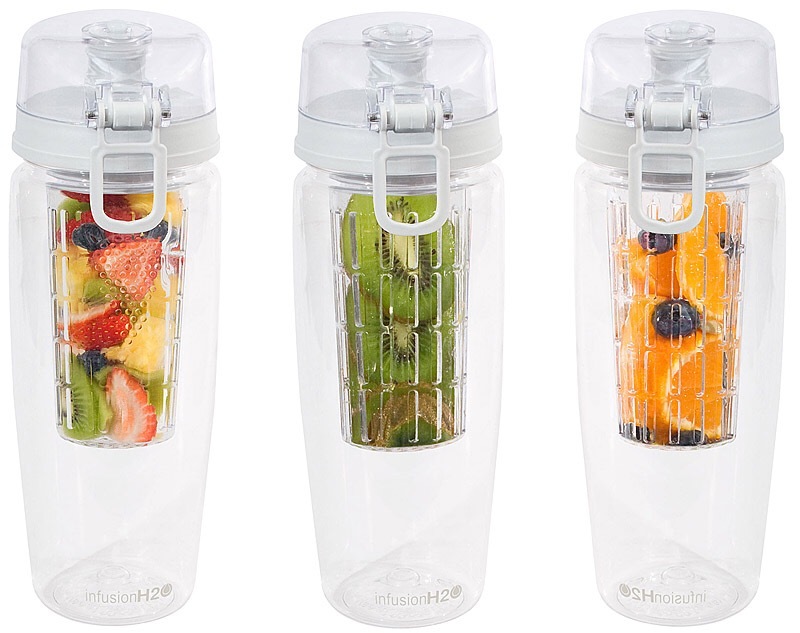 This Infusion H2O fruit infused water bottle is making water a lot more fun. 4. 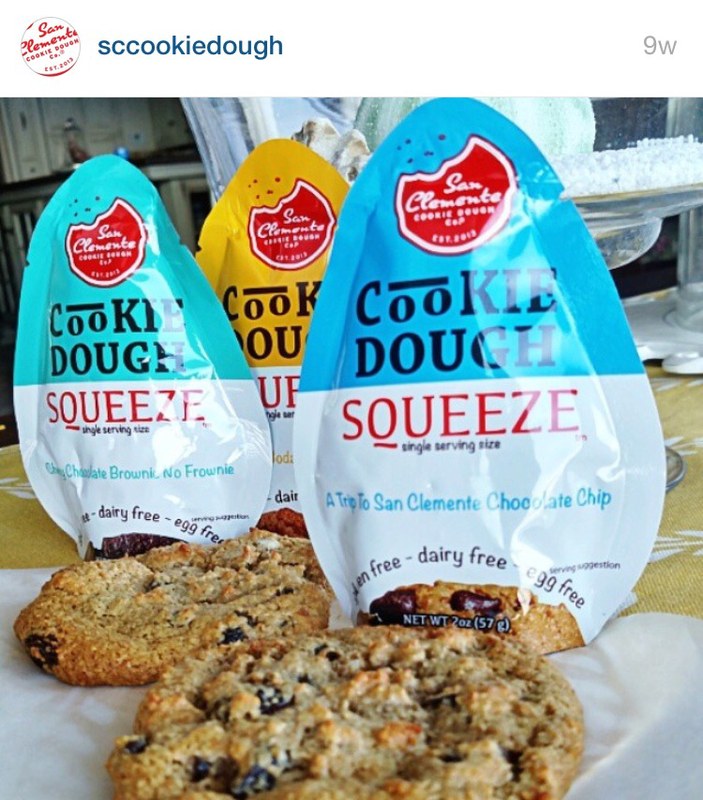 I discovered San Clemente Cookie Dough on Instagram and couldn’t wait to try it. The dough is vegan (dairy and egg-free) and gluten-free so you can eat it right out of the squeeze pouch OR you can bake it. One pouch bakes two cookies. OMGOSH IM SOO ORDERING THE COOKIE DOUGH. That cookie dough could seriously be a problem! Maybe a new running fuel too? hahaha! That’s the first thing I thought of when saw the squeeze pouch! That cookie dough looks amazing!!! Happy Weekend!! The cookie dough is pretty brilliant! I need to try the popcorn too! I’m actually good at drinking water, I get about 100 ounces a day and then another 40ish of hot tea in the morning. You’d think I’d be in the bathroom all day but I think my body is used to it now. Have a great weekend Jen! I’m trying to get better about hydrating. I’m really good when I run, just not through the day. That cookie dough… whoa!!!! I need to find some asap. I love the cop feature! WHAT THE WHAT with the cookie dough?!!!! That’s dangerous for me! Alas, now I’m on the hunt for it. It’s a “healthier” way to get my sweet fix! That cookie dough!! I shouldn’t have checked this post!! My friend sent me that lace lock video and I tried it a few days ago for the first time….it definitely makes your foot feel more secure in the shoe! I was surprised at the difference it makes. Happy Friday! 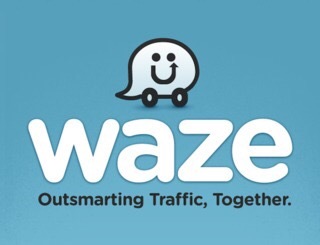 My boyfriend and I have a strict 5 hour maximum we can be in the car with one another before things get dicey so Waze has truly been a lifesaver! Haha. Cookie dough… I just can’t. That will get me into BIG trouble : ) Hope you have a great MDW!! Long weekends rock!! Have a great one! That cookie dough idea is GENIOUS! Love the individual portions. I may just have to try! I don’t know why I didn’t think of it…so great!! Jen, I haven’t tried a fruit-infused water bottle; this is a great idea! I love learning about new ways to tie laces; an employee at my local running shop taught me some tricks that have been life-savers. I’m going to have to give this one a try, as well. Hope you have a fantastic weekend, chica! Boom Chicka Pop is my favorite snack! The kettle corn is killer And I must try that cookie dough! I haven’t tried the kettle corn yet…next time! Ooh! I’m gonna need that cookie dough ASAP! A pouch makes two cookies?! That’s perfect! What do you like to put in your infusion bottle with your water? I love the help with portion control! Happy Friday! That cookie dough though!!! Where can I find this?! I need to go on a hunt for this ASAP! I order it from their site. I haven’t seen it in stores yet. Happy Friday! 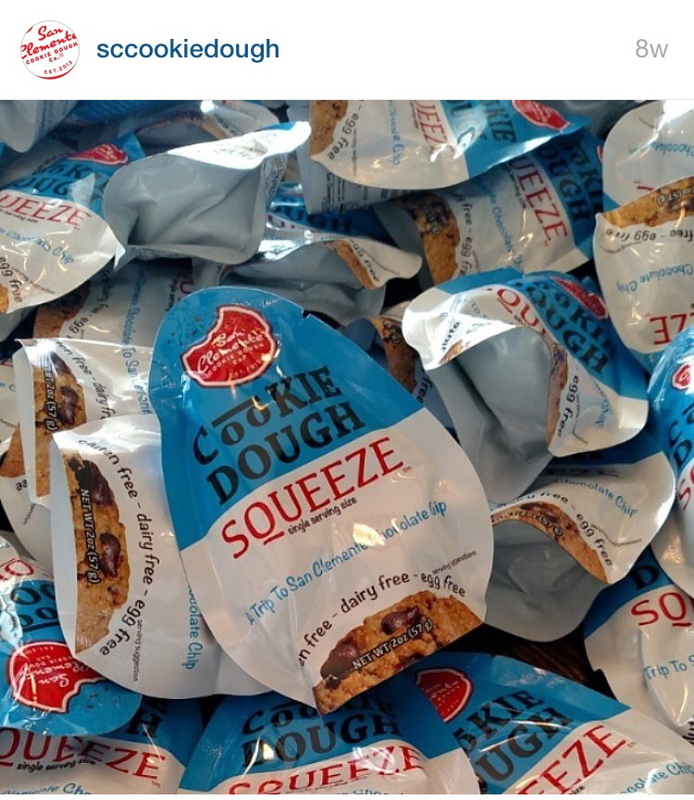 I love the idea of those cookie dough pouches! Sometimes I want something sweet, but a whole dozen or more cookies is just temptation. Baking a few is a great idea. Its perfect for my after dinner sweet tooth! I want that bottle!! Amazing! I can’t stop picturing using that cookie dough like Gu on a run! That was my first thought when I saw it! !